E-Lock offers PKI based digital signature software development kit (SDK), which can be integrated with any third party application. It imparts capability of PKI based digital signing and encryption. It is easy to integrate and fits easily into existing IT infrastructure that is in place without disturbing the existing work flow. 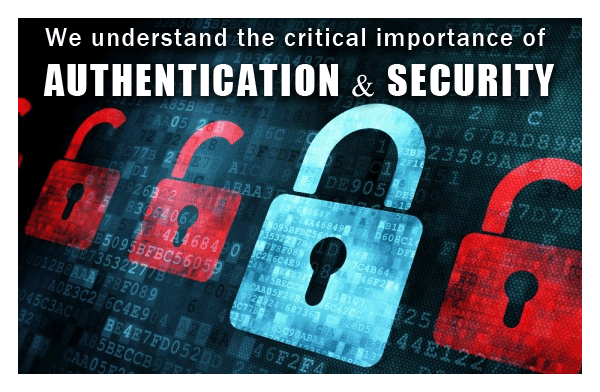 SuperSigner SDK allows, the user to digitally sign and verify the files, forms or any data. The signed data is maintained in PKCS#7 format (as per industry standards). Apart from signing and verification, SuperSigner SDK also supports multiple signatures, third party time stamping, PKI based encryption-decryption and embedded digital signature in the PDF and PDF/A files in Adobe compatible format, which can be verified through Adobe Reader. This is an ideal digital signature solution for a client-server environment where there is requirement for digital signature integration. SuperSigner SDK is based on client-server architecture. It consists of the client component and the server component. Client component acts as the interface between the client machine and the server. It is a small auto-downloadable component, which downloads for the first time when client signs the document through the application with which SuperSigner SDK is integrated. Server component is integrated with the application on the server. 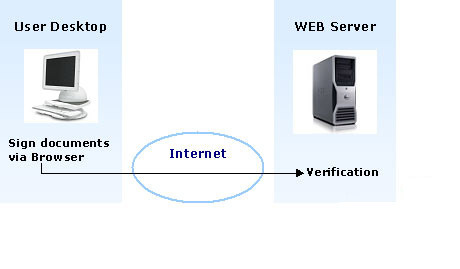 It enables to verify the signed data, submitted by client on the server as well as perform other security operations. Integrators design their own workflow within their application as per requirement and call SuperSigner SDK components wherever required for digital signing and verification. Components perform requested operation and return the output to the host application to process it further. The client component is in the form of very small cab file (600 KB), which gets auto downloaded on client machine first time when the user connects with the application. Component displays the list of digital certificates present on the user machine and enables the user to select desired certificate to digitally sign the document. Supports the multiple signatures for hierarchical and parallel digital signing. Information on all signers is provided in a single glance. It provides the facility wherein all previous digital signatures can be independently verified. The signed files/data can be verified for data integrity, authentication, certificate status (whether valid, expired or revoked) and certificate trust. Supports PKI based encryption. User needs to specify the recipients for whom the file should be encrypted. Selects the recipient's public certificates in order to encrypt. These public certificates can be in .cer or .crt format. The main function of this component is to decrypt the file. A user will only be able to decrypt a file using his digital certificate, if he/she has been specified as a recipient by the sender (i.e. if recipients public key is used for encrypting). Web Servers: Websphere, Apache Tomcat, Oracle Application server, etc. Certificates installed in browsers like, Internet Explorer, Google Chrome, Mozilla and its derivatives like Netscape, Firefox, Thunderbirds etc..
SuperSigner SDK supports PKI based digital signing, maintained in PKCS#7 format. Signed documents are legally enforceable ensuring the data integrity, confidentiality, signer authenticity and provide Non-repudiation. SuperSigner SDK is delivered in the form of API's, callable from scripts. It can be integrated with any existing third party application without disturbing the existing workflow of the process making them more secure, efficient & cost effective. Allows easy transformation from paper-based processes to paperless. This speeds up the decision-making and approval process, enabling faster and convenient communication and services. Saves time, reduces costs which in turn enhances staff productivity and business profits. The documents signed using SuperSigner SDK components are maintained in PKCS#7 format, which is an industry standard. Using PKI based encryption for the classified document you ensure that no one except the authorized person/s will be able to decrypt and view the documents, maintaining complete privacy and security. SuperSigner SDK is compliant with major worldwide e-signature and digital signature legislations. Enabling users to abide by the rules and regulations laid by these laws. SuperSigner SDK components are compatible with Windows and Linux operating systems as well as all the widely used browsers like IE, Mozilla Firefox, and Netscape etc. Once integrated it allows the users to digital sign and encrypt any file at a click on mouse. SuperSigner SDK helps the organizations to comply with rules and regulations pertaining to the use of digital signature and electronic transactions like.